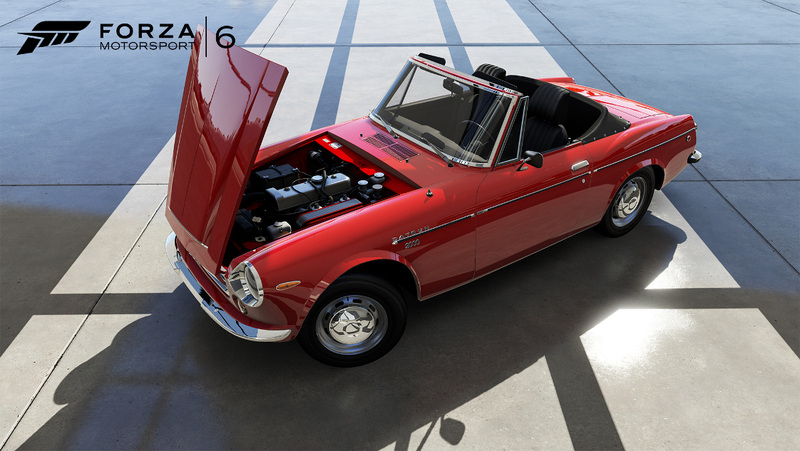 Whether you are a car collector, a painter, a tuner, or you play Forza Motorsport 6 for the sheer thrill of racing, the eBay Motors Car Pack – available on Tuesday, Nov. 3 – has something for you. After all, more is almost always better and, in the case of this pack, you’ll experience legendary racing cars and unforgettable classics with an all-star automotive lineup that spotlights the breadth and depth of the Forza Motorsport 6 experience. When Lewis Hamilton got the chance to drive Ayrton Senna’s Formula One car he said it was the best day in his life. Now is your chance to experience the winningest car in Formula One history, the McLaren MP4/4. The other six cars of the pack have made their own marks on racing and car culture as well. The wild and wily #31 Lancia will give you respect for the drivers of Group 5 racing; the #35 MC Trofeo will show you what new Maserati owners can experience through its factory race program; and the Holden Torana A9X will show you how they go fast “Down Under.” Need to let the sun shine in? 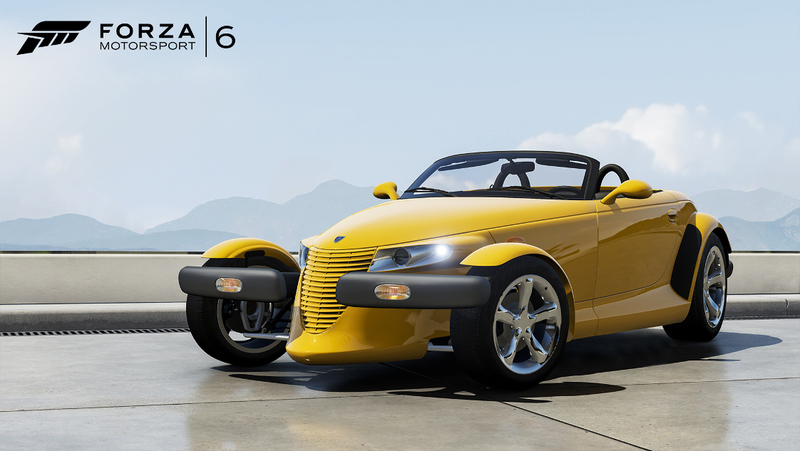 The Plymouth Prowler and the Datsun 2000 Roadster are a pair of “verts” that are raring to show you their stuff. This month’s DLC pack features our partnership with eBay Motors, the premier marketplace for all things automotive, offering auto enthusiasts everything from cars and trucks to collector cars, exotic vehicles, motorcycles, and auto parts and accessories. eBay Motors is also home of the eBay Motors blog which features news, reviews, guides, high-quality photography, and commentary about vehicles of almost any shape, condition or age. Look for more eBay Motors and Forza Motorsport content throughout the month of November. 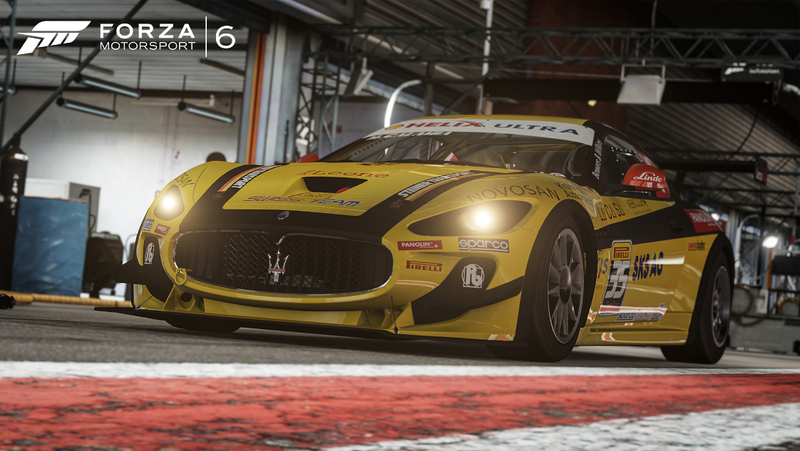 The eBay Motors Car Pack will be available exclusively for Forza Motorsport 6 on Xbox One. 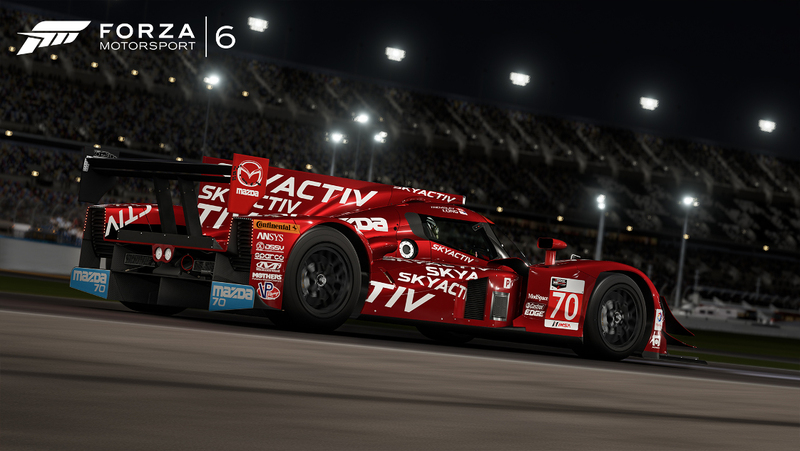 The pack is included at no additional cost to owners of the Forza Motorsport 6 Car Pass, which brings six car packs featuring the best seven new cars coming to the game each month. That’s 42 cars in total, all ready to be instantly added to your garage to customize, tune, and race! All other racers can purchase the pack separately for $6.99 or buy cars from the pack individually. On a list of Formula One’s most dominant cars, the MP4/4 sits at the top. After a disappointing season in 1987, McLaren recruited Team Lotus driver Ayrton Senna to join Frenchman Alain Prost in the team’s new car. The legendary drivers piloted the new MP4/4 lowline chassis, which was powered by a screaming Honda V6 turbo engine. The pair won McLaren a Constructors’ Championship by a margin of 134 points in 1988 and gave Senna and Prost a 1-2 finish in the F1 Driver’s Championship. The car won all but one of the 16 races that year, including ten 1-2 finishes. Senna edged out Prost in the F1 Drivers’ Championship, but even more significant was the margin of victory the MP4/4 delivered over its competitors, often lapping not only the back markers but the entire field. The MP4/4’s dominance created a turning point in F1 history – its forward-thinking, heavily-reclined driving position is still echoed in today’s race chassis and its indomitable V6 ended F1’s turbo era until its recent rebirth. 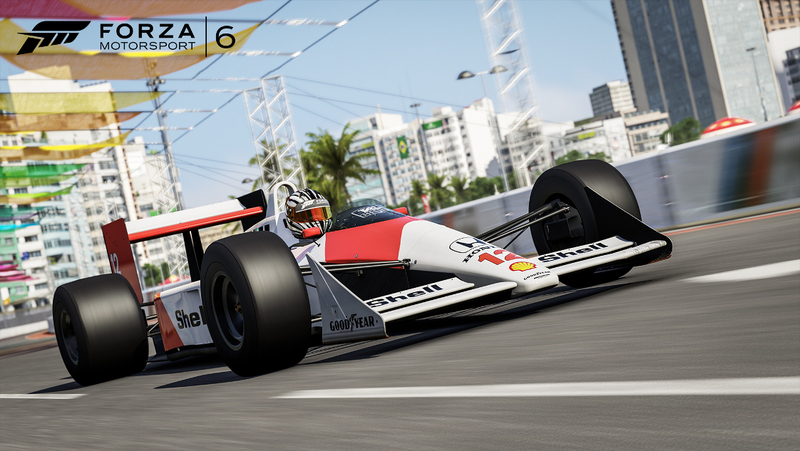 In short, when you are driving the MP4/4 in Forza 6, you are driving an incomparable legend. 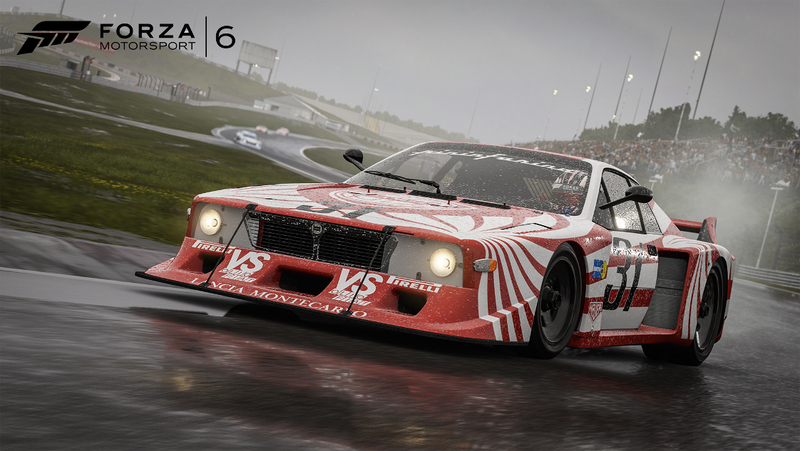 This Lancia is wild in both appearance and performance. When reined in by a talented driver, the Lancia is capable of results that stand the test of time. This silhouette racer was piloted in its day by racing greats Walter Röhrl and Riccardo Patrese. The #31 proved its worth in Group 5 endurance racing with equal doses of forward-thinking design and illustrious driving. Group 5 regulations were lax at the time, requiring little more than the race car’s window material and size to match the original production model. The engine block and transmission case looked like production units, but this racer was a bespoke piece of turbocharged technology. The car had a tubular frame, a KKK turbo, extensive aero, and enough racing rubber to deliver nearly 400 hp to the tarmac. Breathe deep before you spin the #31 up, because it will take your breath away. The Maserati Trofeo series caters to Maserati owners and enthusiasts who want to compete on some of the most well-known race tracks in the world. Drivers can sign up for a single race, a subset of the season, or a full season. The Trofeo is a spec series for the latest sport coupe from Maserati. Suspension may be tuned, but otherwise the cars are equal, leaving the podium to the best driver and team. In 2014, Mauro Calamia of Switzerland locked up the championship before the final race in Abu Dhabi, which he won despite falling back as far as fifth place. Any Maserati is a thrill to experience, but this race-prepped, championship-winning car is a true treat to take to the track. Homologation specials are a rare breed. Their race-bred features are available right out of the box, making homologated road cars both valuable and timeless. In the case of the Torana A9X, you also get a look that can turn the average driver into a bad boy with the turn of the key. Australians have known the Torana through many iterations. Holden built the cars – which were never largely exported – endearing the Torana to Aussie enthusiasts. 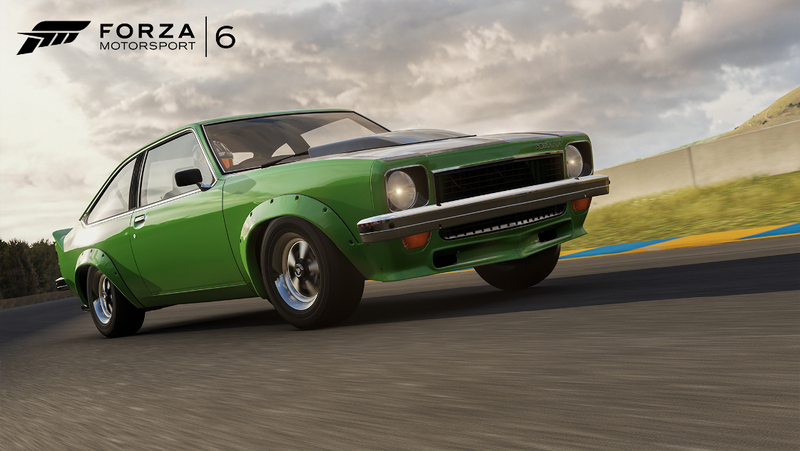 V8 Supercar fans flock to the Torana not only for its bulging lines and fat tires, but for a race history that is the stuff of legend. Peter Brock drove Toranas to victory in Australian Touring Car, including wins at the Bathurst 1000, Australia’s “Great Race.” In 1979, Brock won the Bathurst 1000 by an astounding six laps, setting a lap record in the process. You don’t have to be a subject of the crown to appreciate this little V8-powered mighty-mite, however; it will earn your loyalty with just a few turns around Mount Panorama… or any other track. If you were looking for an affordable roadster in the 1960s, the Datsun 2000 may have been your best bet. Known as the Fairlady in the home market, this convertible would match up with the more expensive Triumphs, Fiats, MGs and Alfa Romeos of the era. Just drop the top and start having fun, but for far less of an entry fee. By 1969 the car had reached its peak power of around 135 hp from the two-liter, SOHC, four-cylinder coupled with a five-speed transmission. Speeds of 140 mph could be reached and, with the wind in your hair, that’s plenty fast. By 1970 the 2000 Roadster would be replaced to make way for the first Datsun “Z” cars. After winning nine races in the final year of the Grand-Am Series, Mazda entered two cars (the #70 and the #7) in the inaugural P2 class of the Tudor United Sports Car Championship. Following the winning formula for endurance racing and the 24 Hours of Le Mans over the last 10 years, Mazda went with diesel power and a true production-based engine. That 450 hp diesel is set inside a Lola B12/80 chassis. All together, the #70 weighs less than a ton. As the last Japanese manufacturer to win Le Mans outright, Mazda has set a high standard if it wants to match past performance. As a test bed for diesel technology, this prototype is well on its way to improving alternative ways to power Mazda vehicles. From time to time, manufacturers take a chance and develop something simply for the sake of innovation. The Plymouth Prowler is the perfect example. It was produced at a projected financial loss in an effort to revitalize the Plymouth brand. While the revitalization never happened – Chrysler pulled the plug to focus on itself and Dodge – the Prowler is a standout in both style and design. In appearance and sound, the Prowler is a modern hot rod, with styling cues that are harken to the T-bucket and later roadsters. It is sleek and, with its open-air and almost open-wheel design, the Prowler turns heads wherever it goes. Under the hood is a free-breathing 3.5-liter V6 delivering 250 hp. While far from its cousin the SRT Viper in performance, the Prowler doubles down on its looks, and is a sure bet for Mopar fans.